Most times when looking for a blender, people are more interested in living a healthy lifestyle. And in a world where we want everything ‘fast’ but healthy, blenders come in handy in getting us a healthy meal in the shortest possible time. Bullet blenders, on the other hand, can make your life in the kitchen much easier. Whether you want to make healthy and nutritious shakes and smoothies, sauce that is purely natural or home-made baby food, bullet blenders come in handy. However, buying a blender is no walk in the park. When buying a blender, it’s just not about you being able to afford one. Several factors need to be considered before purchasing one. Besides the price, the horsepower, number of blades, features, accessories, and ease of clean are some of the things you need to consider before buying a bullet blender. 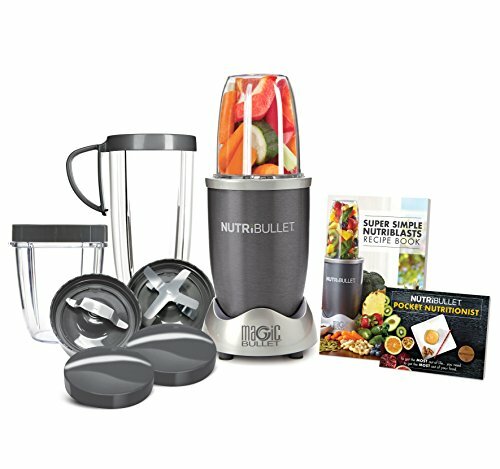 If you are torn between the Magic Bullet and the Nutribullet and have no idea where to start, our review will help make it easier for you to decide on which bullet blender to buy. 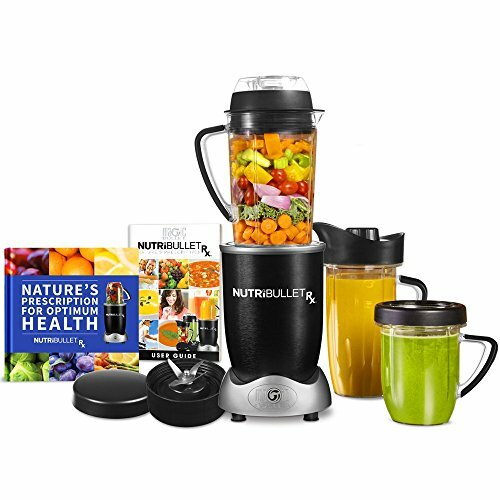 Although the Magic Bullet and Nutribullet blenders come from the same mother company – Homeland Housewares – they both have their similarities and differences in their features, price point, and targeted market segment. This review offers a comparison between Magic Bullet and Nutribullet so that you are aware of the advantages and disadvantages of both blenders and which one to consider. If your day must begin with a healthy natural shake or you prefer relaxing with a glass of frozen margaritas after a long day at work or week, a blender should be a must kitchen have for you. Due to its ease of use, impressive power and the simplicity in cleaning, bullet blenders are becoming increasingly sought after by consumers. Unlike the full-sized blenders, bullet blenders come in smaller capacities. While you may think this is a setback, it actually is a plus as it comes in handy when one needs to whip up a single smoothie glass. Most bullet blenders have a cup attached to it that doubles up as a drinking vessel. As more and more bullet brands infiltrate the market, it can be hard knowing which one is worth your money and which one isn’t… especially with the baffling price tags and prices. Bullet blenders are different compared to other blenders. While regular blenders have a low RPM when it comes to their spinning capability to blend liquid ingredients, bullet blenders spin at speeds of up to 24,000 RPM to grind and crush seeds, vegetable flesh, and fruits, stems and pits to extract the nutritious vitamins. High-speed bullet blenders such as the Magic Bullet and Nutribullet blenders have steel blades that are uniquely shaped to grind and crush the stems and pits to get the nutrients. They also have a milling blade that grinds nuts, coffee, seeds, and beans. The Magic Bullet and Nutribullet are perfect examples of bullet blenders that are popularly known. Below is our review of the two blenders both from Homeland Housewares. Known as “The Original” in the bullet blender series, the Magic Bullet has one main attractive feature. Compared to other bullet brands, the Magic Bullet only sells one style and size. This means your hurdle to buying it is eliminated as you won’t need to worry about accessories and all that. The one size one style feature makes it stand out from other bullet brands. Moreover, it’s sold in an 11-piece set that includes several lids and cup options, a base, recipe book that has various treats that can be whipped in 10 or less seconds as well as a single blade. This product also comes with a one-year free warranty. In case your Magic Bullet blender becomes faulty due to the manufacturer’s error, you get free replacements and repairs with the one-year warranty. 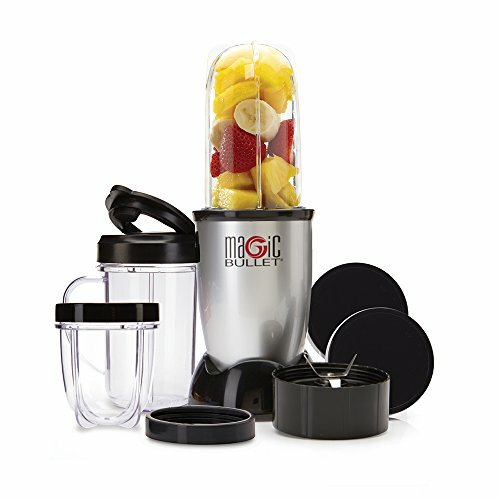 When it comes to buying, one can buy the Magic Bullet on online stores such as Amazon, from the company or in stores. It’s also a good blender for a single serving and is mainly used in grinding small amounts of food, vegetables, spices, and fruits. It’s therefore not suitable for those with families. In terms of capacity, it dwarfs the Nutribullet as it comes with two different cups that measure 18 ounces and 12 ounces. The Magic Bullet has a motor power of 250 watts. Because of its low power, this bullet blender produces thick smoothies and cannot be used to crush ice. It also can’t be used to heat sauces and soups. The Magic Bullet is ideal for people who don’t need to use a blender every single day and is also suitable for those who don’t want to spend a lot of money in buying a blender. In addition, it’s made from BPA-free material, is easy to use with no complicated control manuals and is safe to wash in the dish washer. Compared to other blenders in the Nutribullet family, the 600 watts moto power makes it ‘weak’ in its line of blenders as it can’t handle lots of blending daily. While it makes good smoothies, there are certain limitations to the ingredient you can use. If you need a good smoothie, at 600 watts, leafy greens or carrots or in general highly fibrous veggies shouldn’t be added. This product can be used when making a soft vegetable or fruit smoothie. Its milling blade is uniquely made to tend to any seeds. Although a smoothie from the Nutribullet may not be all that compared to smoothies produced by other blenders in the Nutribullet series, still it can hold. Another advantage of the Nutribullet is that it’s quite silent when blending. That is, of course, thanks to its low power motor. If you have a family and need not wake them up when making your morning smoothie, the Nutribullet is a good option as you won’t wake anyone up. Also, it takes a few minutes to have your drink ready. Even though it’s not the best blender to use when making flour, the Nutribullet is a good grinder. The milling blades can comfortably grind different seeds, coffee beans, and rolled oats. This bullet blender can help you make various food recipes thus ensuring you are eating healthy. It’s also quite easy to clean as the parts can be removed and dish washed. The material used to make this blender is dishwasher-safe. One of the downsides of the Nutribullet blender is that it’s not built for heavy use. While it’s reasonably durable and reliable, it can’t stomach an everyday use as it will wear and tear easily. It’s suitable for making smoothies twice or thrice a week. Also, the fact that its motor power is limited means that it can’t make superior smoothies. The Nutribella model is affordable and has a superior quality hence will serve you for a lengthy period before you can get another one. While there are differences in the pricing, cost, and accessories, deciding which blender is the best bullet blender between the two should be largely based on your needs and not really on the cost or accessories. While both have their pros and cons, what best fits your needs is what you should go with. While the Magic Bullet is ideal for making single serving smoothies and is affordable, it’s not suitable when you have a family as it’ll mean more time spent blending enough smoothies for everyone. On the other hand, it’s portable and works well if you are looking to make your smoothies at least a couple of times a week. If, however, you want a sturdier blender, then consider buying the Nutribullet. If you are just starting out and don’t want to spend lots of money on a blender, the Magic Bullet is a good blender to start with. Even at that, successor bullet blenders have been released since the two. You will need to weigh your options and pick what works for you. Overall between the two, the Nutribullet is more powerful than the Magic Bullet. If you are pretty serious about your smoothies and the quality, this is one of those cases where you shouldn’t dread spending more to get your smoothie just as you prefer it. Also, read reviews on Amazon between the two bullet blenders and make your pick.